The Village Council on Monday approved the transfer of the old M-64 highway and its right-of-way from the Michigan Department of Transportation (MDOT) to the village. Village manger Joe Erickson said MDOT will transfer this property to the village for transportation purposes. “With the acquisition of the property the village can re-establish the old highway to the River Road and provide a more direct access to the lighthouse and the Ontonagon County Economic Development Corporation dock along the river,” he said. The old highway used to be the road from the Main Street across the swing bridge. Remnants of the old highway and its pavement still exist and has been used for parking to the park next to the marina. Erickson also talked about his meeting in Lansing with Leon Hawks, CFO of Michigan Employees Retirement System (MERS). “We talked about the village’s pension issues since assuming the hospital pension obligations. We discussed various options for the village to manage the cost of the MERS contributions,” Erickson said. The village currently contributes $300,000 annually from the General Fund to support the pension of 140 retirees. Erickson also told the council that the village has submitted a grant application for a Community Marketing grant and a Portage Health Foundation Grant. Council President Ken Waldrop, along with council member Tony Smydra, talked extensively about the recent conference they attended in Lansing. Smydra said the Upper Peninsula legislators were united in opposition to the governor’s proposed 45-cent-per-gallon fuel tax increase. Waldrop told the council state Sen. Ed McBroom will be visiting Ontonagon this week. He will be at Connie’s Restaurant in downtown Ontonagon. 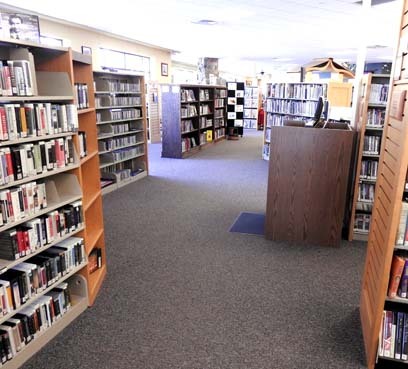 Last Saturday state Rep. Greg Markkanen met with constituents at the township library. Erickson reported the Legislature is working through committees on the governor’s proposed budget. Smydra commended Gov. Gretchen Whitmer in her proposed increase in per student reimbursement to school districts such as Ontonagon. Smydra also said the governor is going to be returning more money back to the village. 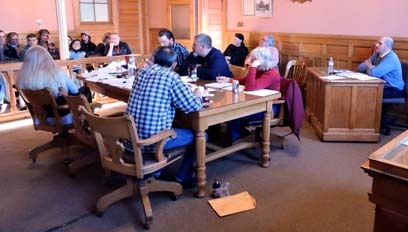 Council Member John Hamm reported on a meeting in White Pine with various emergency management officials.